Merchandise is a big part of our business here at St Andrews Links. 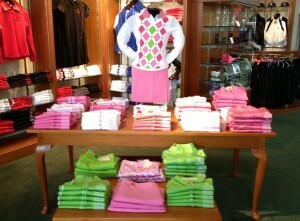 You will find a wide range of the highest quality clothing and accessories for both on and off the course. We spend a great deal of time meeting with our suppliers to look at the best ranges possible for our customers. We have two seasons here at our Golf Shops – Spring/Summer and Autumn/Winter (or Fall). We conduct our Spring/Summer buying in the Summer, working one year ahead. This is when our suppliers launch their collections. 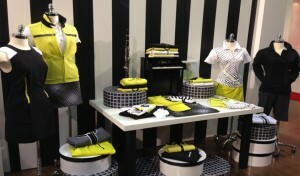 We do our Autumn/Winter buy at the PGA Show in Orlando in January. There’s a lot involved in the buying process, including analysing sales data from the previous year, looking at colours our customers have liked; any new technical fabrics or unusual designs that we’d like to trial and how the collections will look in our shops. This planning and preparation not only occurs in the lead up to and during the buy, but also long afterwards. 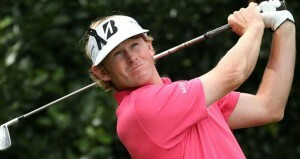 A lot of what we do here at St Andrews Links Golf Shops revolves around training. We like our Sales Associates to know every possible detail about the ranges and individual garments that they’ll be selling. Not only do we supply each shop with a product training manual and invite each of our suppliers to attend training sessions early in the year; we also preview the collections to the staff long before they arrive in our shops. To do this, we use story boards. 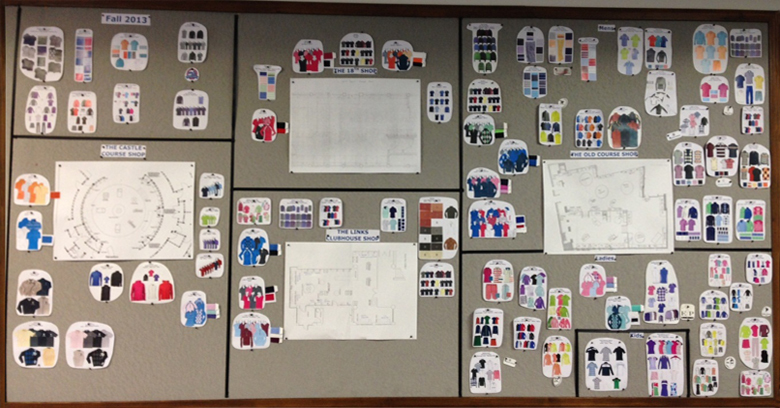 Each of the large boards are populated with an image of the collections – whether it be each garment within the collection or a few bits and pieces to give an idea of the colour stories. 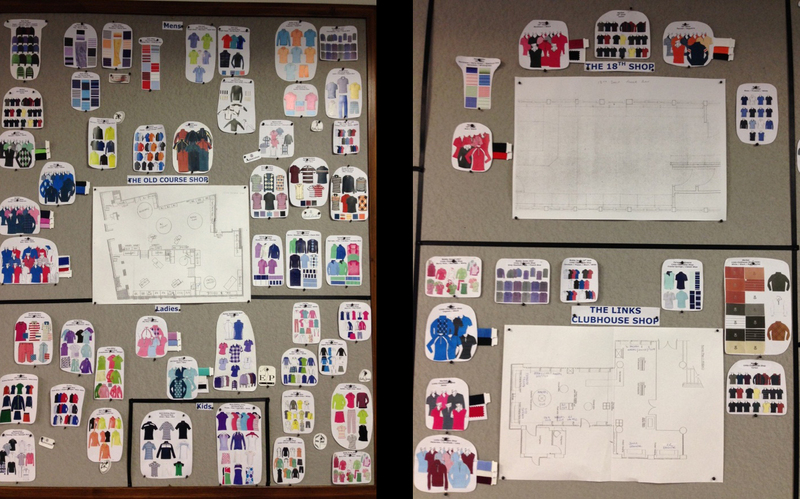 The story boards really benefit our Retail Merchandisers and Shops Manager in allowing to plan the layout of the shops. This way we can ensure each shop has a varying range of colours and styles to choose from. 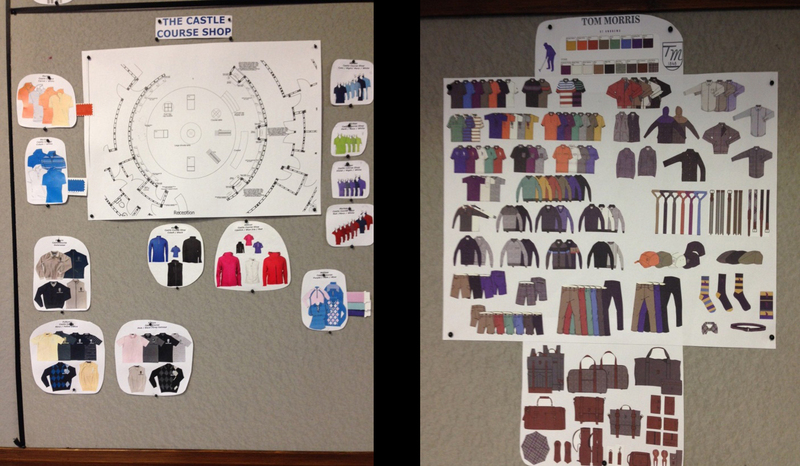 Also when reporting sales figures during the busy season, the story boards prove to be invaluable for referring to, which enables us to determine which colours are performing well and the collections which need moved or remerchandised. Apart from the usual blue and blacks, the main pop colours you will see in our five stores for Spring/Summer 2014 are bright greens, reds, pinks, purples and oranges. Check out our current collections on our online store.